Vodou has often served as a scapegoat for Haiti’s problems, from political upheavals to natural disasters. This tradition of scapegoating stretches back to the nation’s founding and forms part of a contest over the legitimacy of the religion, both beyond and within Haiti’s borders. 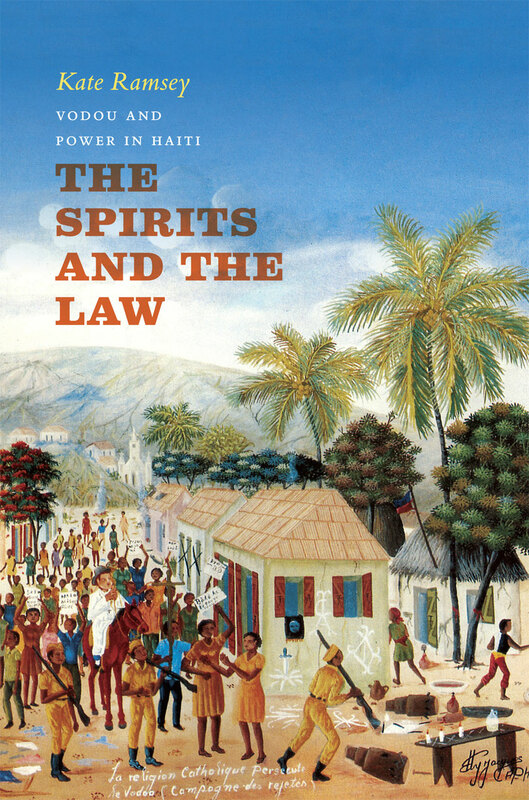 The Spirits and the Law examines that vexed history, asking why, from 1835 to 1987, Haiti banned many popular ritual practices. To find out, Kate Ramsey begins with the Haitian Revolution and its aftermath. Fearful of an independent black nation inspiring similar revolts, the United States, France, and the rest of Europe ostracized Haiti. Successive Haitian governments, seeking to counter the image of Haiti as primitive as well as contain popular organization and leadership, outlawed “spells” and, later, “superstitious practices.” While not often strictly enforced, these laws were at times the basis for attacks on Vodou by the Haitian state, the Catholic Church, and occupying U.S. forces. Beyond such offensives, Ramsey argues that in prohibiting practices considered essential for maintaining relations with the spirits, anti-Vodou laws reinforced the political marginalization, social stigmatization, and economic exploitation of the Haitian majority. At the same time, she examines the ways communities across Haiti evaded, subverted, redirected, and shaped enforcement of the laws. Analyzing the long genealogy of anti-Vodou rhetoric, Ramsey thoroughly dissects claims that the religion has impeded Haiti’s development.